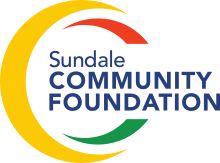 The Sundale Community Foundation offers an opportunity for organisations providing service delivery within Nambour and it’s surrounding areas to apply for a grant. To be considered for a grant, the applicant will need to demonstrate how it meets one the following criteria. People who are homeless and / or at risk of homelessness. Children and young people (0 – 18 years). Application Form is available as an online form at the link provided on this website. Submit one application for one project per annum for a project that must be completed within that year. All applications must meet the Foundation’s eligibility criteria – see criteria below. All applications must be completed in full and all information in the application must be true and accurate. Funding will be made through a single competitive grant process. The Foundation may make a grant on the basis of a shared financial arrangement. This ensures the applicant has an important stake in the project. No applications are considered after the closing date. All applications are to be written in English, signed, dated and made by a legal entity. Please make sure you read the funding objectives and specific exclusions for each of the program areas. Endorsed by the ATO as deductable Gift Recipient. Applicants that do not have enough revenue to cover their operating costs and all debts as they fall due. Applicants that have received a Sundale Foundation Grant in the past and who not acquitted their funds. Activities that the foundation will not support. Anything considered illegal, highly risky or ethically questionable. Budget deficits, repayment of loans, business loans. Fundraising campaigns, overseas or domestic appeals or sponsorship. Funds for investment or organisational reserves. A project or activity that provides private or personal benefit eg the purchase of equipment, services or a vehicle for individual use. Activities without all necessary Government approvals (where necessary for the proposed project). Project management fees and / or project contingency costs. General operating expenses for organisations including salaries / wages and on costs. Funding for staff or member social events. Staff training and / or conferences other than in exceptional circumstances. Educational programs or resources unless the project responds to a community need and provides community benefit. Alignment to the Foundations mission. The Board will specifically look for projects that have a well-defined need in the community and that will have a broad community impact. All applicants will be advised as to the outcome of their application where it is successful or otherwise. If you are interested in giving in any way, please get in contact with us.